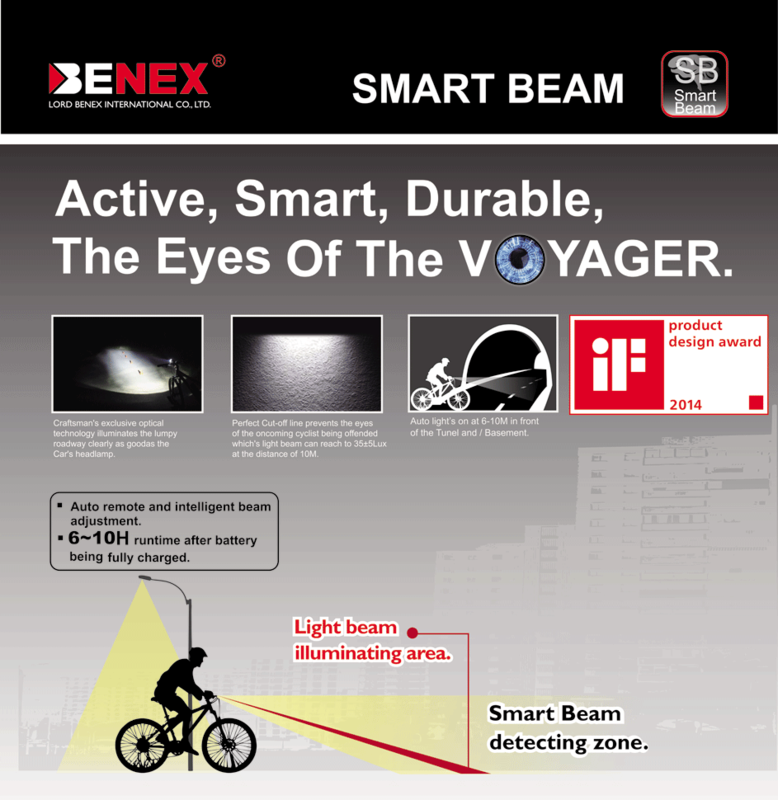 AUTO SMART BEAM -Active, Smart, Durable, The Eyes Of The VOYAGER. AUTO ON / OFF DESIGN -Sleep Mode when you get home and park your bike after 40s. BENEX Headlights always have a low beam feature, which we especially advertise. Compatible Handlebar diameter: Ø 25~32mm. 1.Provide the safety and efficiency for you to avoid the eyes of incoming cyclist from being seriously blinded. 2. Detect the surrounding light at 5-10M ahead and adjust the beam intensity in the speed by 1 / 10000s to extend the runtime to 3-5 times longer. 3. Auto remote and intelligent beam adjustment. 4. 6-10H runtime after battery being fully charged. 1.Same as the car to adjust the headlight automatically according to the surrounding while in tunnel,basement,rain or nightfall. 2.Auto OFF when your bike packed and left. 3.Auto ON when you returned and ride on your bike. 4.Auto OFF ->Sleep Mode when you get home and park your bike after 40s.Sleep Mode could last for over 3 months after Batt. being fully charged. Small & compact, ergonomic, collectible. Perfect cut-off line, gentle to the eyes for coming vehicles. Beam distance up to 110m. 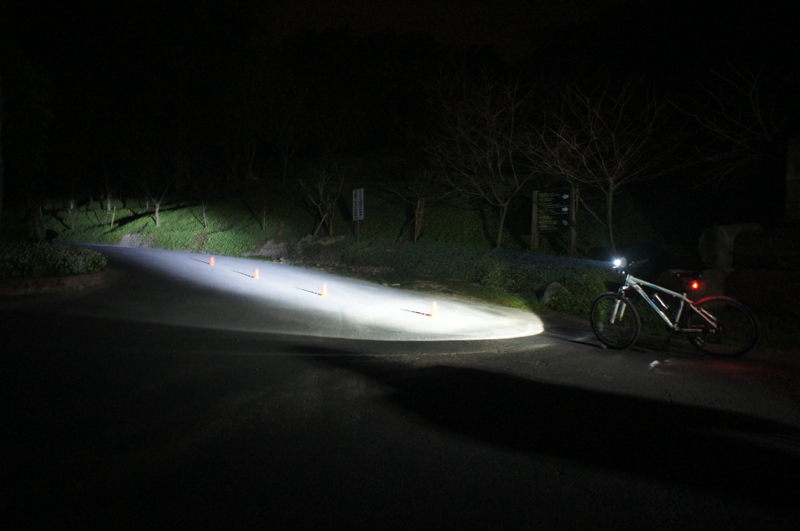 Exclusive optical design, even the rough and uneven roadside can be seen clearly, as good as car’s headlight. Low Beam: Light beam's efficiently scattered over the roadside. 2. 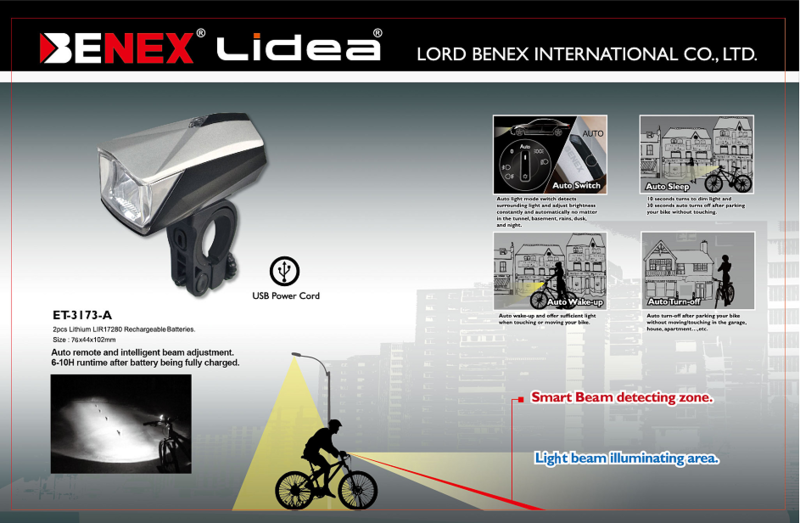 Auto-Detect the surrounding light and adjust the beam intensity automatically. 3.Auto ON - when bike being riden again. 4. Auto OFF - when you get home and park your bike. 5. OFF - Switch the power off to shut down the Auto Mode. 6. AUTO System would shut down the power and enter into Sleep Mode. 7. Automatically even when you forget to switch off the light after bike parked to save the power. 8. Sleep mode could last for over 3 months after Batt. being fully charged. a.The power indicator would be on for 5 seconds while switching the power on. b.Power indicator status while charging in progress.